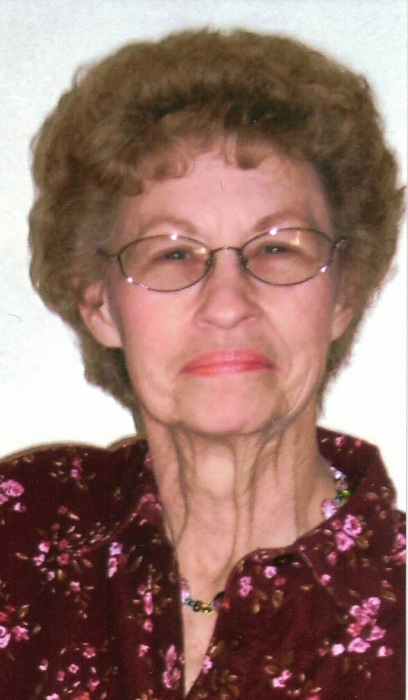 Patricia “Pat” Burgoon, age 79, of Delta, peacefully passed away March 29, 2019 at Indian Meadows in Wauseon. She was born In Delta on May 19, 1939 to the late Arthur Chamberlin and Ethel (Yawburg) Chamberlin. Pat attended Delta High School and on September 15, 1956 she married Donald R. Burgoon who passed away on December 18, 2013. For many years Pat served as a sales clerk at Mohr’s Shoe Store in Delta. She enjoyed collecting tea sets, shoes, ceramic memorabilia and having her canine companion by her side, “Midget”. Along with her parents and husband, Don; she is preceded in death by her brother, Lewis “John” Chamberlin and sister, Rosella Richardson. Left to cherish her memory are her children, Michael Ray (Denise) Burgoon of Delta; daughter, Michele Renee (Larry K. Sieving) Kiess of Fremont; grandchildren, Jayme (Jay Marr) Burgoon, Janelle Burgoon, Jenna Henricks and Nikole (Tony Aldrich) Kiess; twelve great grandchildren; Brianna Burgoon, Austin Ballard, Landon Ballard, Emma Ballard, Zoe Ballard, Madison Marr, Kenzie Marr, Brayden Daley, Logan Henricks, Nathan Henricks, Jocelyn Fierro and Nolan Aldrich; along with many loving friends. Visitation will be held on Tuesday, April 2, 2019 from 5-8 PM at Barnes Funeral Chapel, 5825 St Hwy 109 in Delta. A funeral service celebrating Pat’s life will begin at 10:00 AM on Wednesday also at the funeral home. Reverend Joseph Fifer will be officiating. Interment will follow at Raker Cemetery in Delta. Those wishing a show of sympathy are asked to consider contributions to ProMedica Hospice 5577 Monroe St., Sylvania, Ohio 43560 or a charity of the donor’s choice in her memory. Please visit our website at www.barnesfuneralchapel.com to send condolences to Pat’s family.